Heating systems fall into what could be described as passive or aggressive categories. Forced-air systems take a more aggressive approach by using fans to propel heated air throughout a duct system. 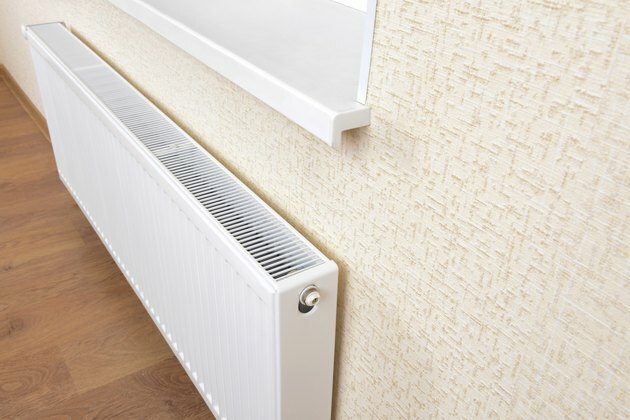 But radiators are passive participants in heating systems that use thermal expansion principles to deliver warmth through a piping system to heat a house. Radiators heat the air inside your house by two principles: radiation and convection. A radiator uses radiant energy to transfer heat to the air through electromagnetic waves, similar to the heat from a stove or an open fire. But the bigger heat contribution of a radiator is through convection. When the radiant energy heats the air next to a radiator, the heated air rises, which pulls cooler air through the radiator and starts the air moving. This movement forms vertical currents that travel across a room, carrying the heated air with them. 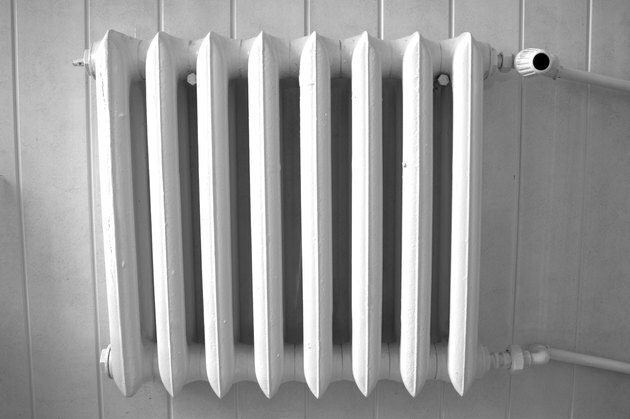 Steam radiator heating is an older technology that uses a boiler to heat water until it produces steam. 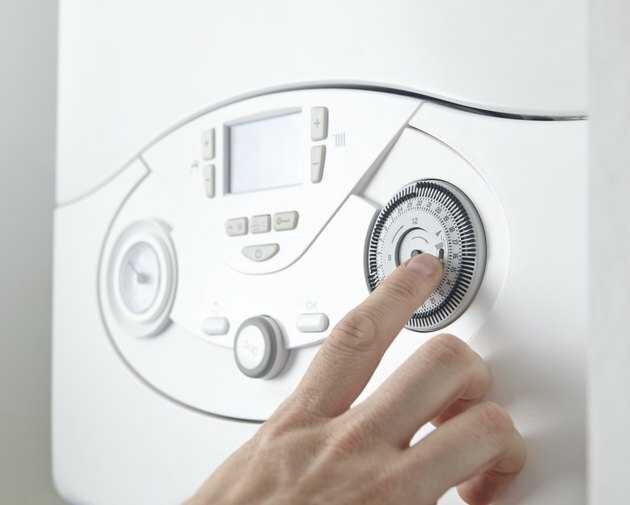 Boilers can be powered by electricity, natural gas or fuel oil. Because steam rises on its own, there is no need for a pump or blower to distribute warm air through the piping system to the radiators. It takes time to heat the water until it boils and produces steam, which means these radiator systems may not produce consistent heat but sporadic warming and cooling of rooms. In newer homes, hot-water radiators are second only to forced-air systems. Heated water enters a radiator at one end, and circulates around a closed loop before exiting the radiator at the opposite end. As heat from the water emanates from the radiator, it causes the water to cool down. As it returns to the boiler, the water is heated again and the cycle continues. Bleed valves mounted on each radiator release trapped air, which is a common problem in hot-water systems. 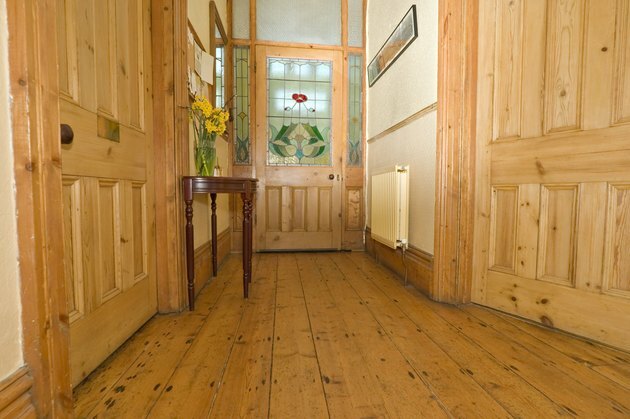 Unlike freestanding radiators, baseboard heating systems are installed inside vented baseboards. Some baseboard radiators are recessed into the bases of walls and vented at openings along the floor. At the vent openings, metal fins create an expanded surface area that absorbs and radiates the heat from hot water-filled pipes. Baseboard radiators must be kept clean. Dust and dirt that build up on the fins act as insulation, which impedes heat transmission, and blocks air from circulating freely. How Do Portable Refrigerators Work? Why Do Baseboard Heaters Make Noise?